If you are a gun owner of any kind please join the NRA. The NRA is the main force in protecting our Constitutional rights. The NRA’s primary focus is to protect Americans’ 2nd Amendment right to keep and bear arms. In doing so, they are also working to protect all of our Constitutional rights. Now is the time to stand as one. 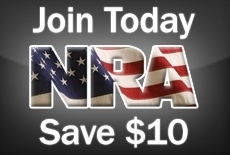 Please join the NRA to help fight those that wish to take away our 2nd Amendment right to keep and bear arms. This is not about hunting or shooting sports this is about our freedom as Americans! We would also encourage you to join your local 2nd Amendment organizations as they will help to defeat local laws trying to restrict your 2nd Amendment right, like those just passed in New York State.